Today I was excited to discover that my new found 'blogging' friend Darnell, has had started a new challenge on her wonderful blog and the theme, 'friendship' was so apt that not only is was this card for her challenge, but I am dedicating this particular card for her personally, you will can still find the challenge, FBUS Challenge #1 - Friendship Theme here. NBUS is Darnell's own acronym for Never Before Used Schtuff, which had me chuckling all day . . . I have loads os NBUS, so this was would have been a great challenge for me. I went to post my link and discovered, in my excitement that the challenge was posted in JUNE . . . red faced with embarrassment! 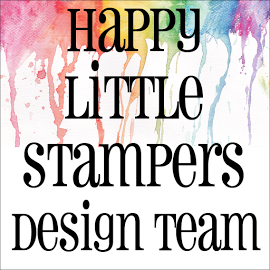 I have entered this into the Simon Says Stamp Wednesday 'Stars' Challenge as it turned to be apt for this one too! The NBUS used in this challenge is the 'stars', which I have only just received - they were on order - and some of the stamps . . . but, more of that later. 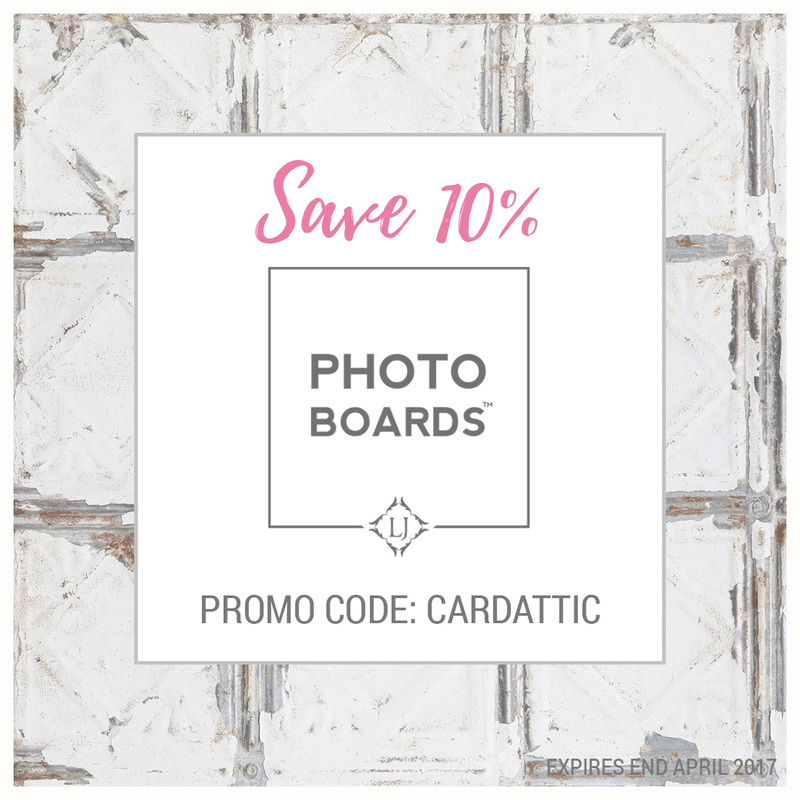 All supplies are listed below (as best I can remember some, as they were purchased ages ago - before I used to file things properly, and label everything - sorry, people! First, I cut the star out of the front panel and cut it 'wonky' for added interest, then I backed the star with gold foil card and cut a small outline star out of the same card. Then I cut approx six more of the main star - I lost count and stacked them one on top of the other and stamped the top one with stamps from different stamp sets that I purchased ages ago and haven't yet used . . . again, long forgotten! This is from the days, when I used to see things I really, really needed . . . and then, never used! Still do of course, but now I'm more disciplned and file and label it all, so I know exactly who's products they are, and what they are called! 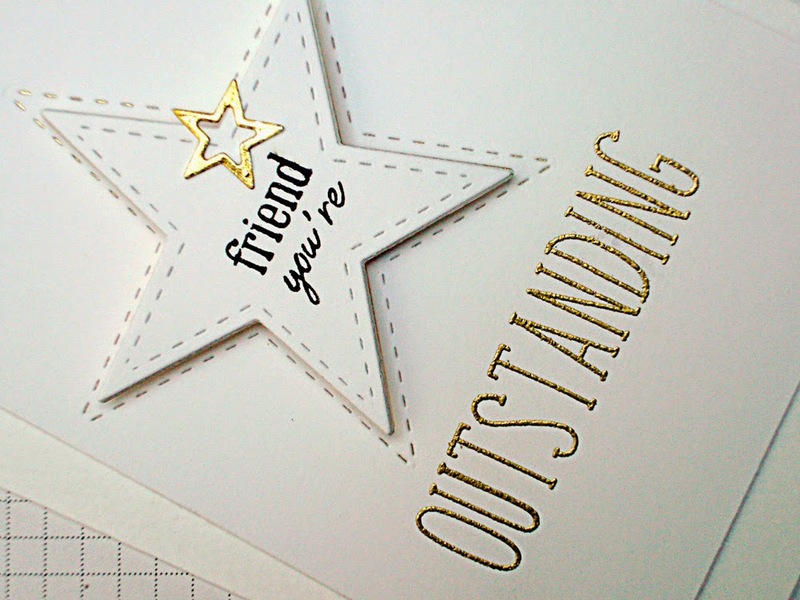 Then I used an alphabet stamp set to stamp the word 'outstanding' in Versamark and gold embossed it with detail gold embossing powder. I then added the top panel to a textured base card using thin foam tape, stuck the small, gold foil, outline star slightly over the edge of the 'focal' star and raised it up on two, thick foam pads - stacked one on top of the other - to really make it stand out! Stamps - Winnie & Walter, 'Bubble Talk' . . . 'Friend' (another 'forgotten' one) and Lawn Fawn, Violet's ABC's. Love the stacked star and gold star...what a GORGEOUS CAS design! The details on the die cut and layering are awesome! Thanks so much for playing Simon Says Stamp Wednesday “Seeing Stars” Challenge! Well, WOW, Hazel, this truly is one STAR of a card! I can't stop staring at it! I'm pinning it! It's going in my to-be-CASEd folder! I'm beyond gaga over it!! PS. Forgot to say, OUTSTANDING job on lining up and embossing those letters! I'm in awe!! Super cute card design Hazel. Fab card. 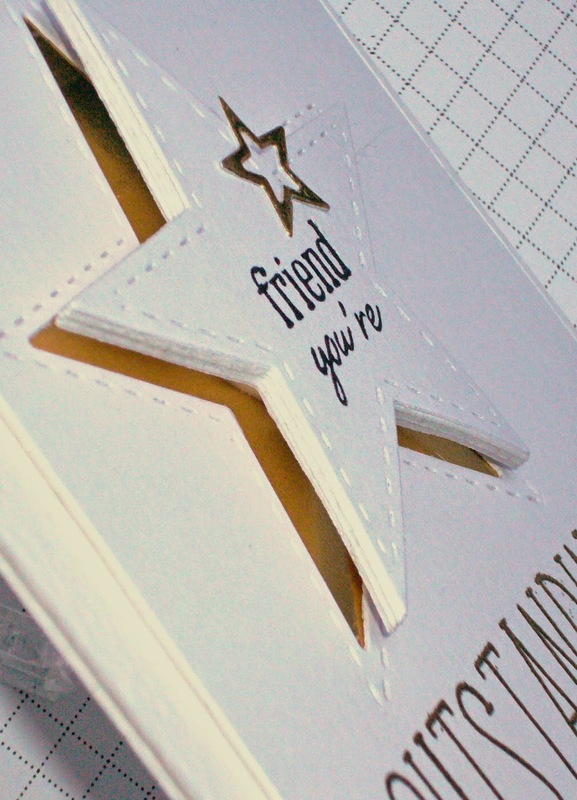 Love the stacked star and gold embossing. 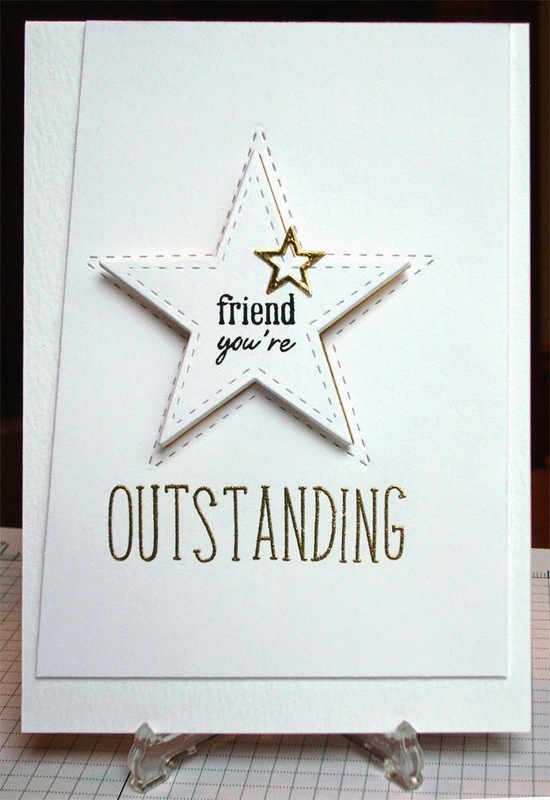 Well, this card is 'OUTSTANDING'!!! I love all the wonkiness, gives it a lot of interest and all those layers are fantastic. Darnell is so fantastic and she has helped me a lot since I started blogging in September 2013. I just found out I'm a 'non-reply blogger' so have to fiddle around with changing that this weekend. So happy to have found your blog and thank you so much for your lovely comments on mine!! LOVE this card! The white and gold are perfect together! 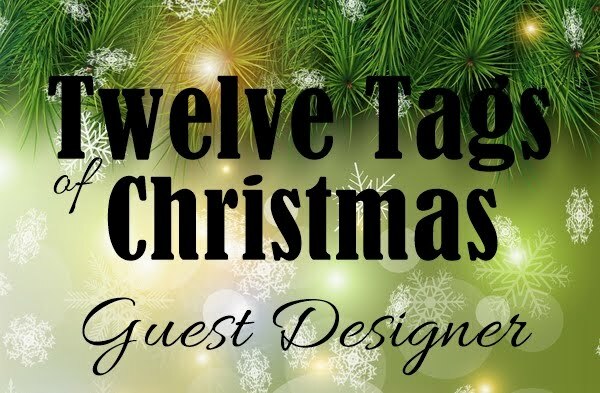 So happy to have found your blog, I am a new follower!